The states were graded on five issues: labour, infrastructure, economic climate, governance, and perceptions of a good business climate. 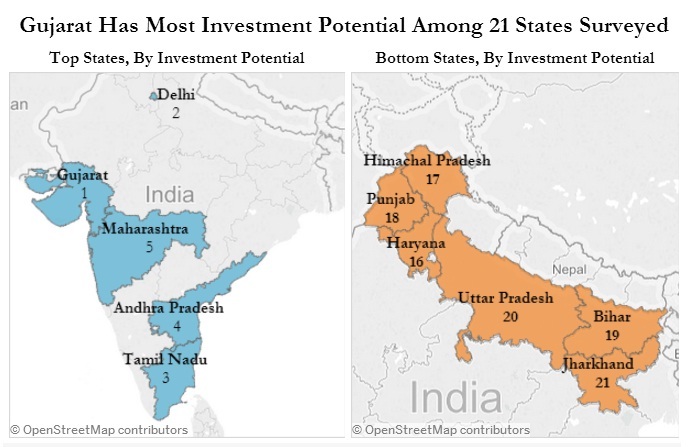 Gujarat and Delhi are India’s most investment-friendly states, while Bihar and Jharkhand are the worst. Andhra Pradesh and Tamil Nadu are the most corrupt states for doing business. West Bengal is the most difficult for land acquisition, environmental clearances and approvals. 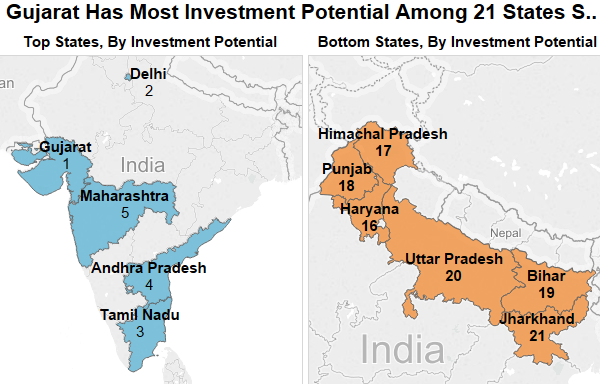 These are the findings of a recent report, The NCAER State Investment Potential Index, released by the National Council for Applied Economic Research, which evolved an index to grade states on five main issues: labour, infrastructure, economic climate, political stability and governance, and perceptions of a good business climate. The report contains two types of rankings: N-SIPI 21, an index that ranks 21 states on the issues above, including through industry surveys; and N-SIPI 30, which includes all states – including 9 not covered by industry surveys – and are based on four of the five aforementioned issues (excluding perception of a good business climate). 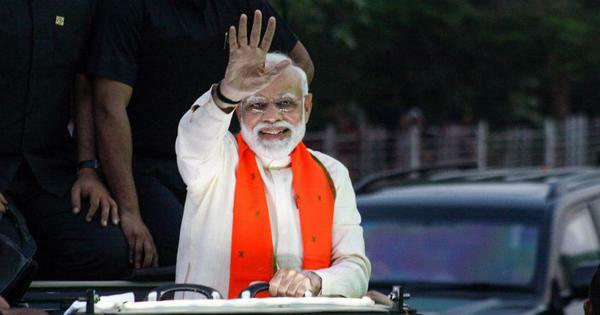 The data reveals that Gujarat tops the N-SIPI 21 index, followed by Delhi and Tamil Nadu, whereas the N-SIPI 30 index is topped by Delhi, Gujarat and Tamil Nadu respectively. Bihar and Jharkhand fall in the bottom five states in both rankings. In May 2016, the Department of Industrial Policy and Promotion listed how Delhi’s ruling Aam Aadmi Party was making it easier to do business, adding that the Centre was working with Delhi and Maharashtra to propel India into the Top 50 in global ease-of-doing-business rankings. 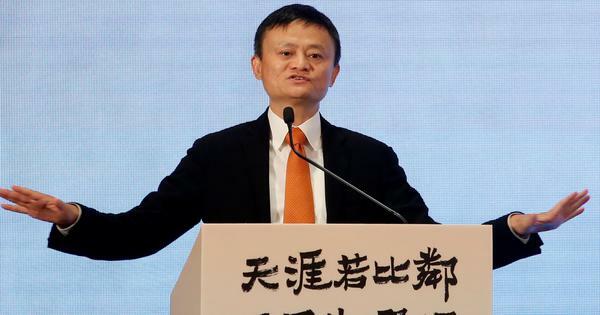 As many as 79% of industry respondents said corruption was a major issue, followed by approvals before starting business (72.1%) and getting environmental clearances (66.7%). Earlier this year, India was ranked 76 out of 168 countries in the Corruption Perception Index 2015 by Transparency International, a corruption watchdog. 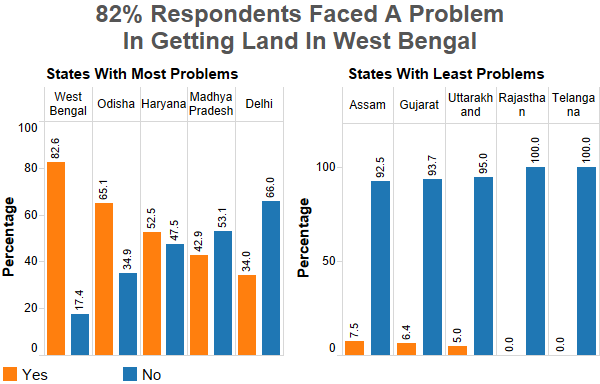 Up to 82% of respondents reported that they had problem in acquiring land in West Bengal, whereas only 5% reported having any problem in Uttarakhand. More than half of respondents (54.3%) reported that environmental clearances were a “severe” problem in West Bengal; 11.4% said it was not a problem. 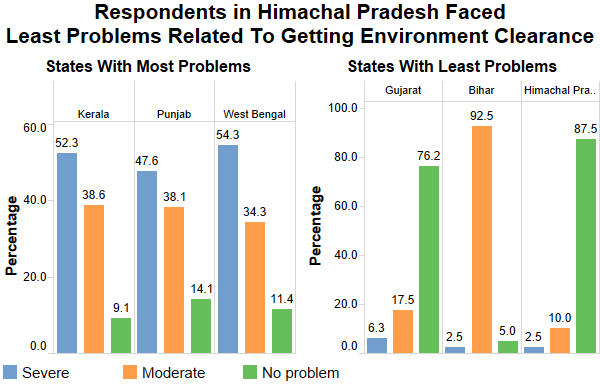 It was easiest to get such clearances in Himachal Pradesh, with no more than 2.5% of respondents reporting it as a “severe” problem, while 87.5% said it was not a problem at all. In terms of getting approvals for business, West Bengal was again the worst, with 68.6% reporting a “severe” problem; 5.7% said it was not a problem. Himachal Pradesh performed the best with no respondent (0%) reporting approval problems. 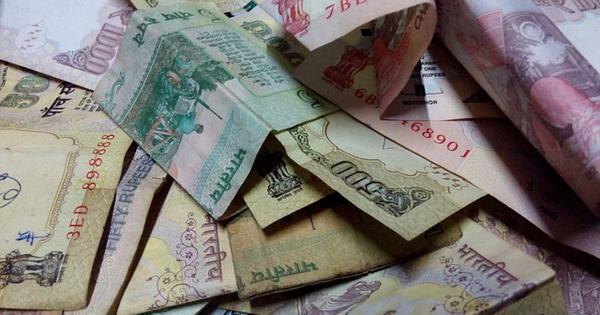 In Andhra Pradesh, 74.3% of respondents reported corruption as a “severe” problem; no one in Himachal Pradesh reported corruption as a “severe” issue.